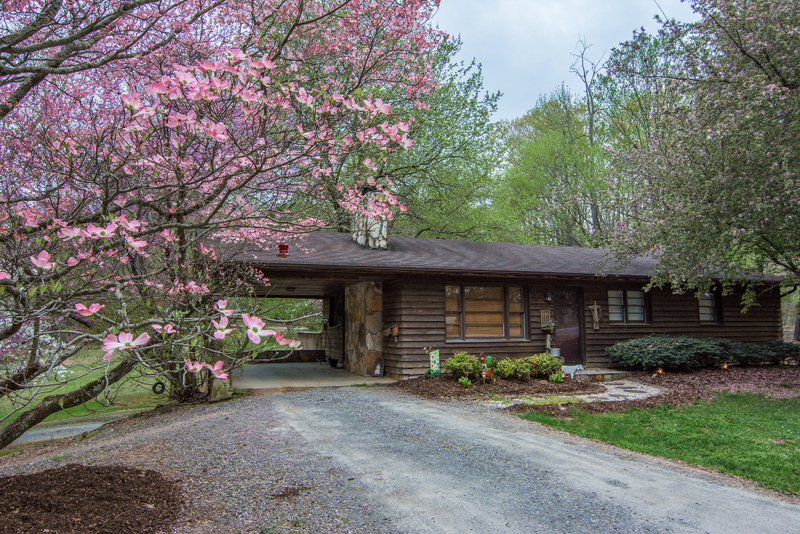 Our "cottage" nestled in the center of our property with the best view of Pilot Mountain, offers many features that our other cabins do not have. 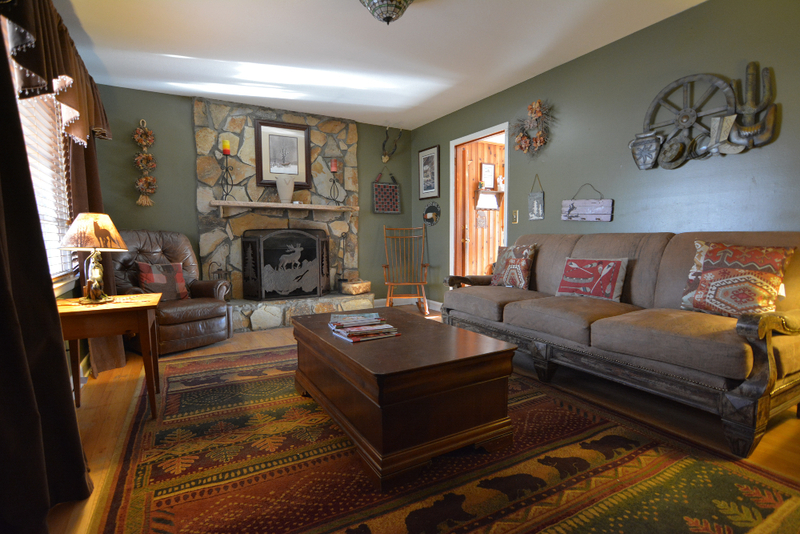 This unit is all on one level with a full kitchen, gas log fireplace, central heat & air, lodge styled leather couch, leather lazy boy recliner & satellite TV, large bathroom with separate free standing shower & Jacuzzi whirlpool tub for two. 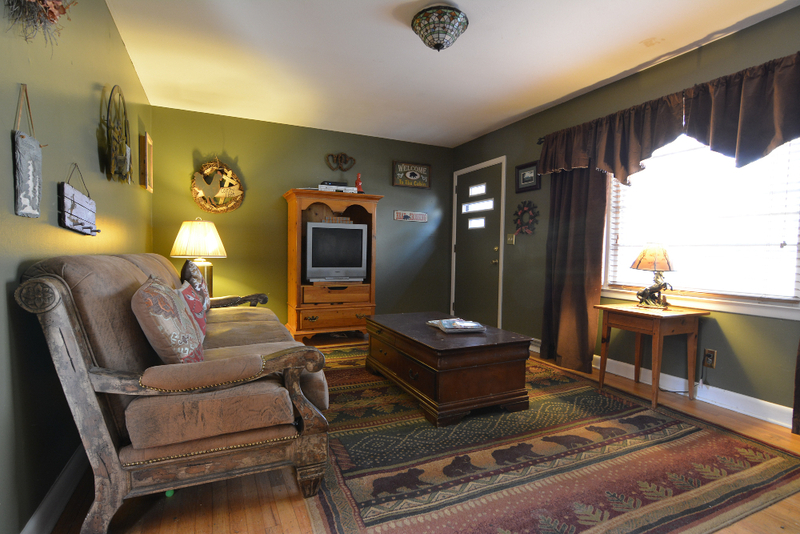 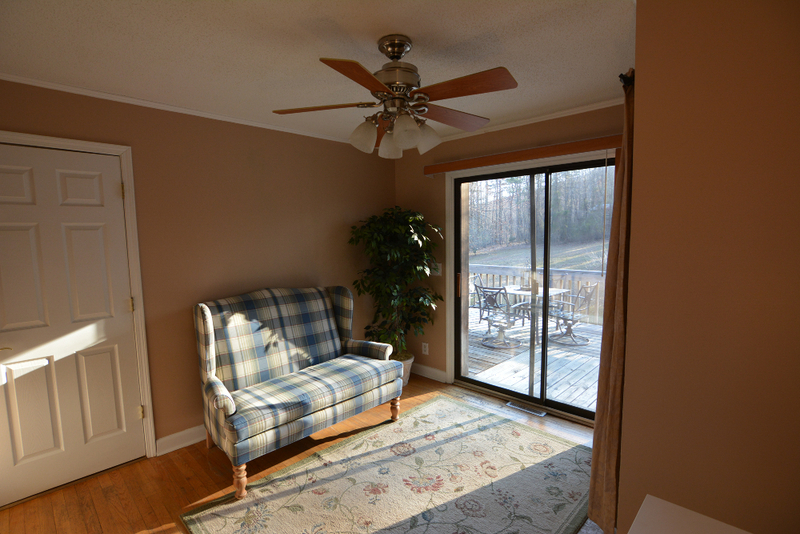 There is a sitting area with desk off Master Bedroom Suite & a pull in carport. 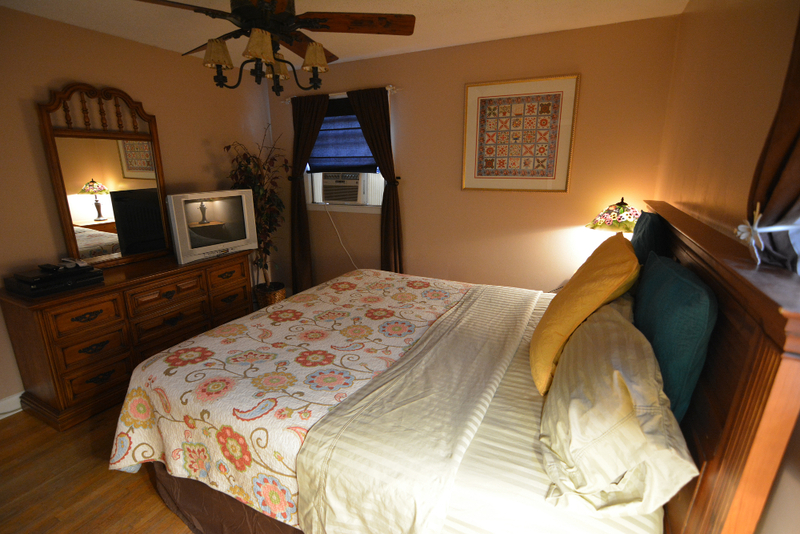 The Master Bedroom has king size bed, satellite TV and DVD player. 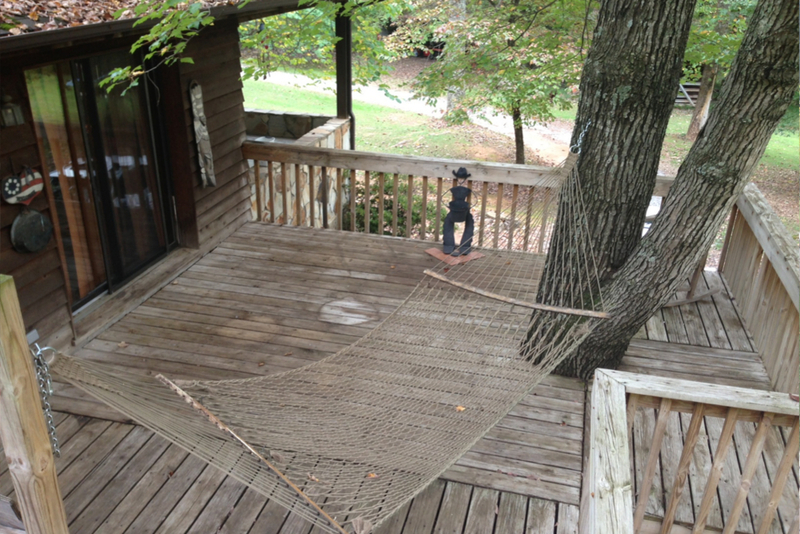 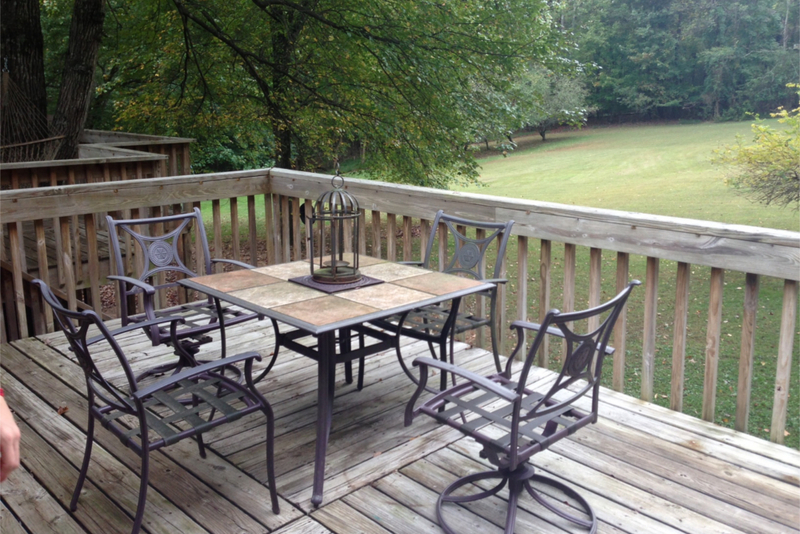 The back deck overlooks Pilot Mountain with a plenty of shade & a relaxing hammock. 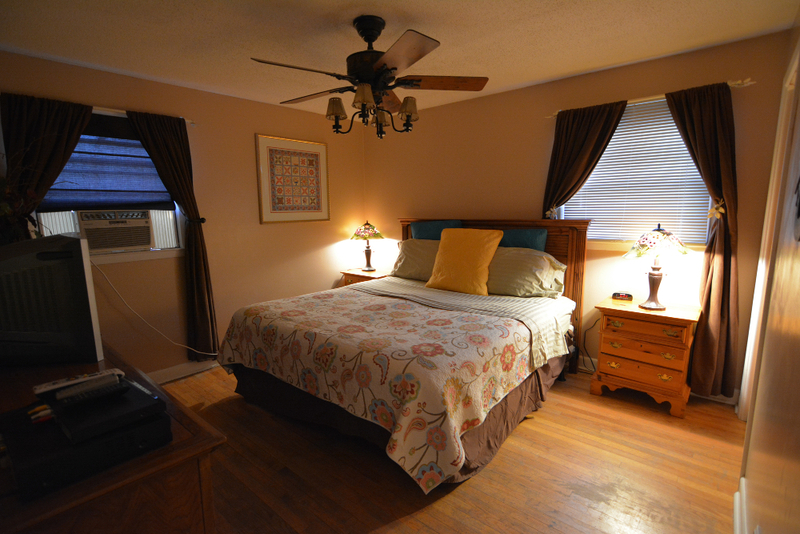 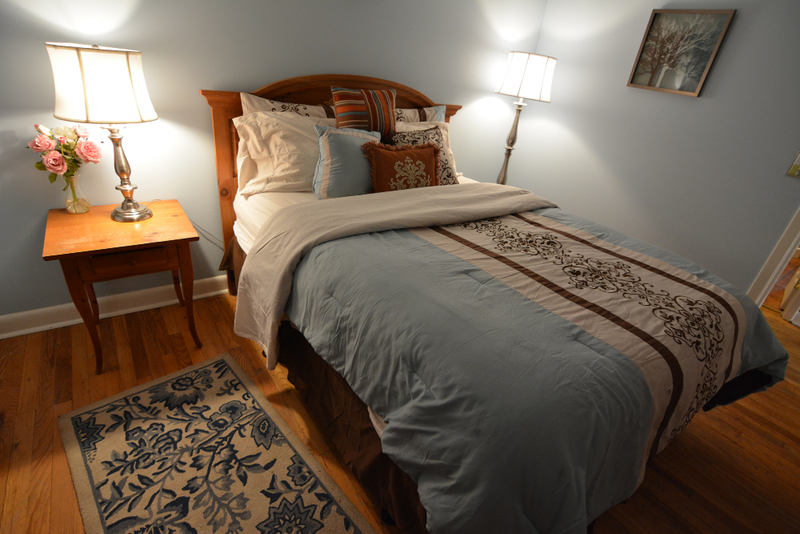 This unit also has an additional bedroom with queen size bed that can be rented if you have another couple with you. 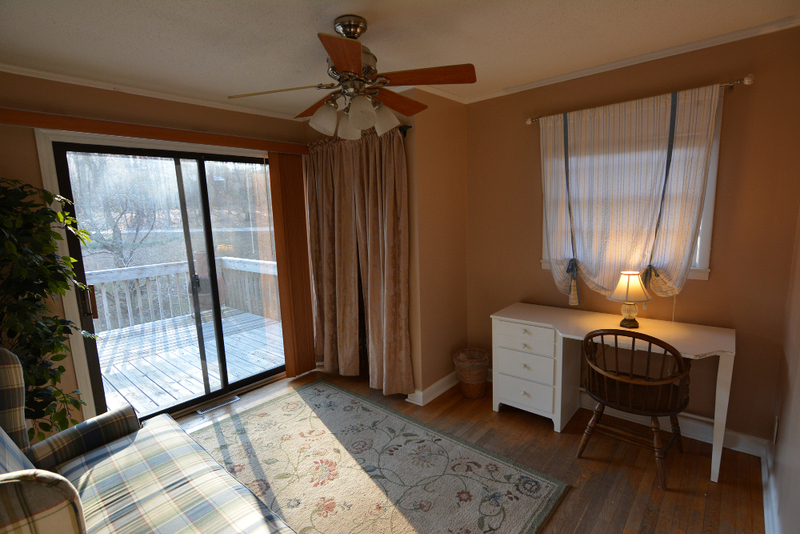 This bedroom is locked unless rented. 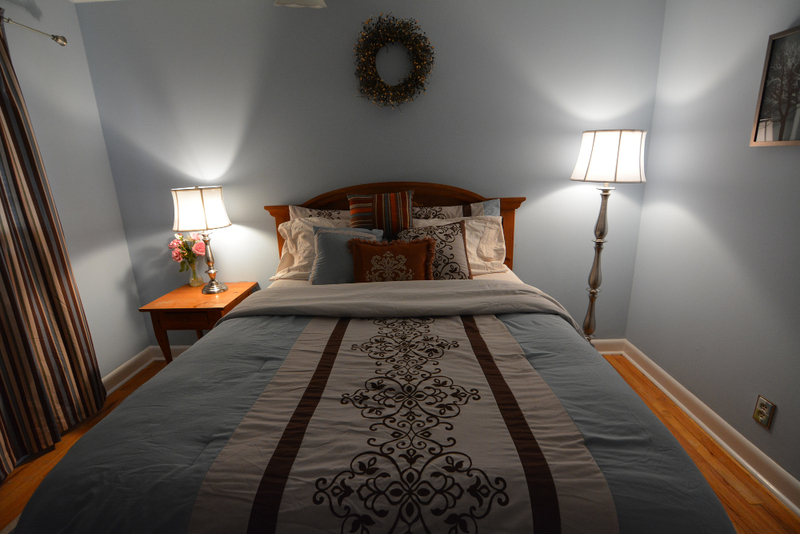 The fee to rent for an additional couple is $100 per couple or $50 for one additional guest. 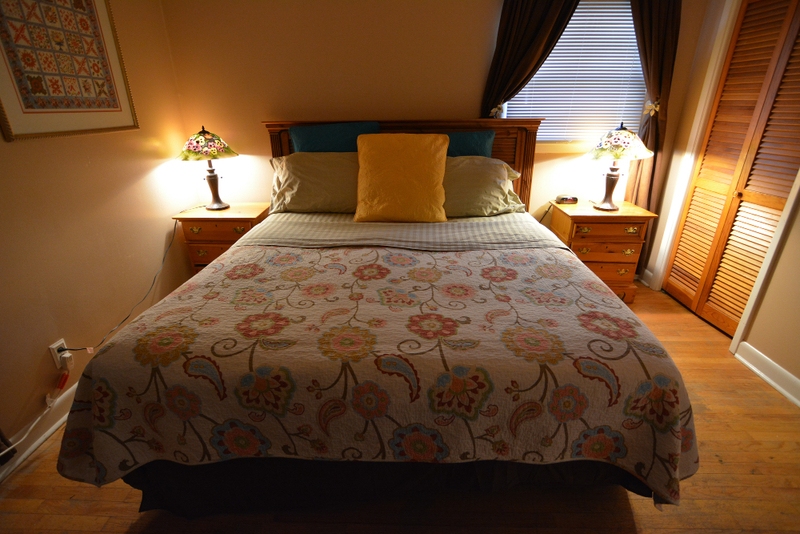 If you rent this unit for two people needing this room for sleeping quarters, just contact innkeeper and this arrangement can be made for no additional cost. 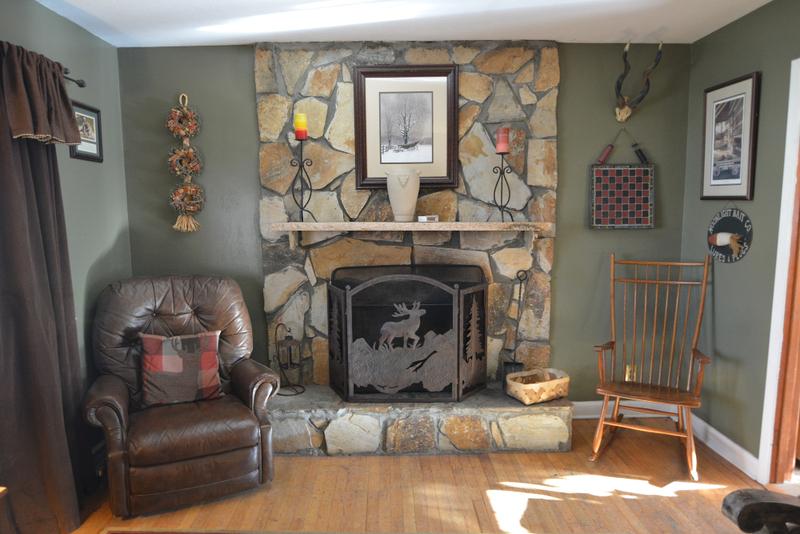 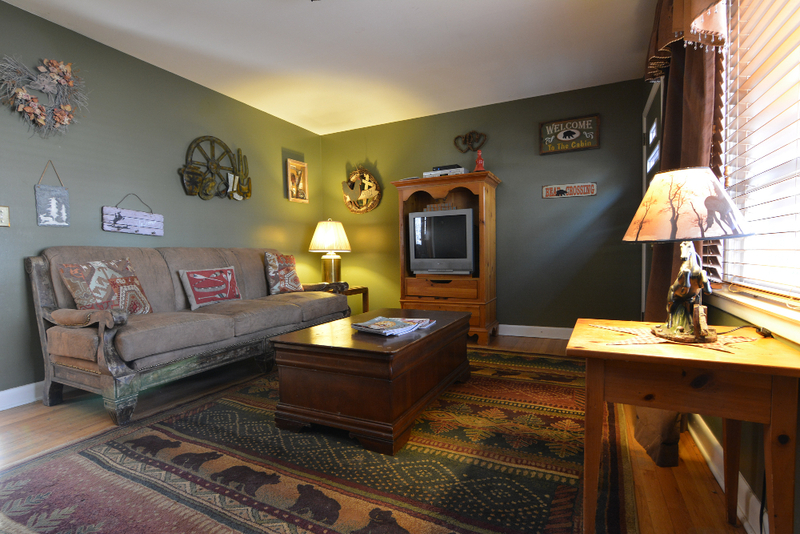 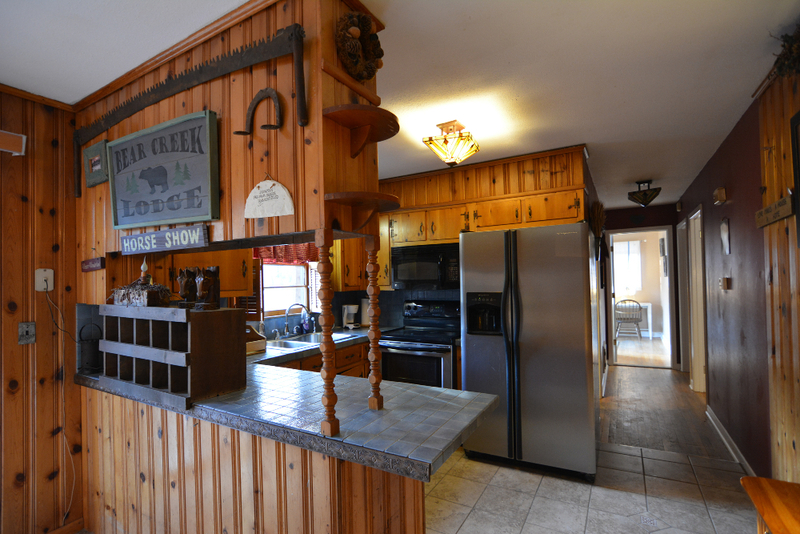 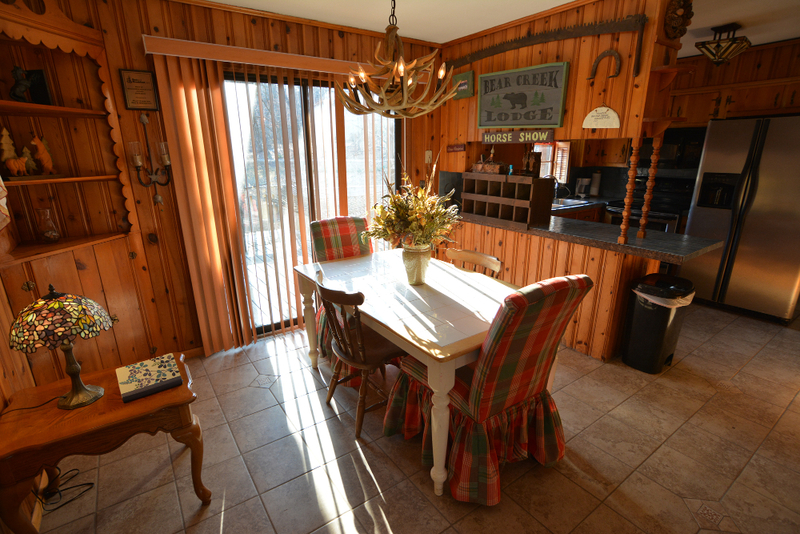 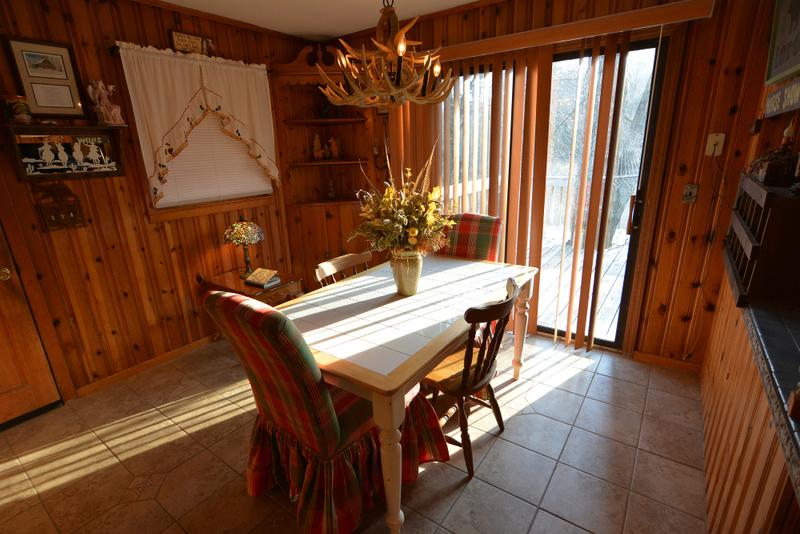 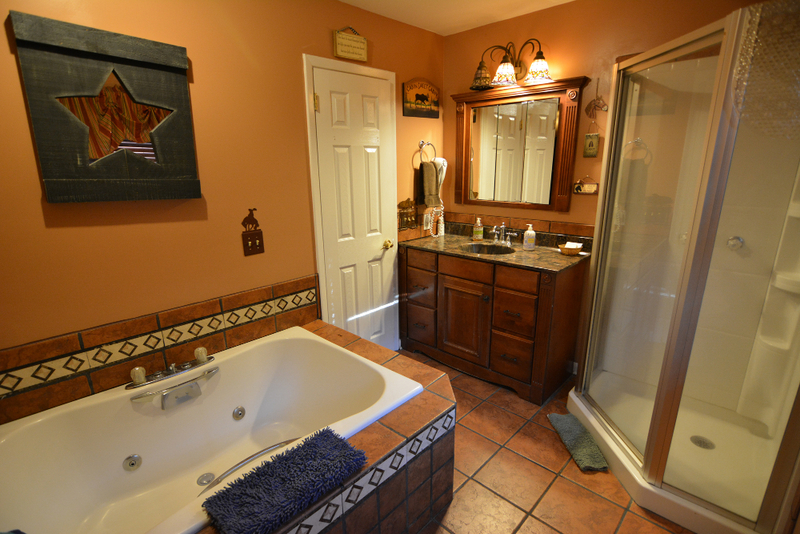 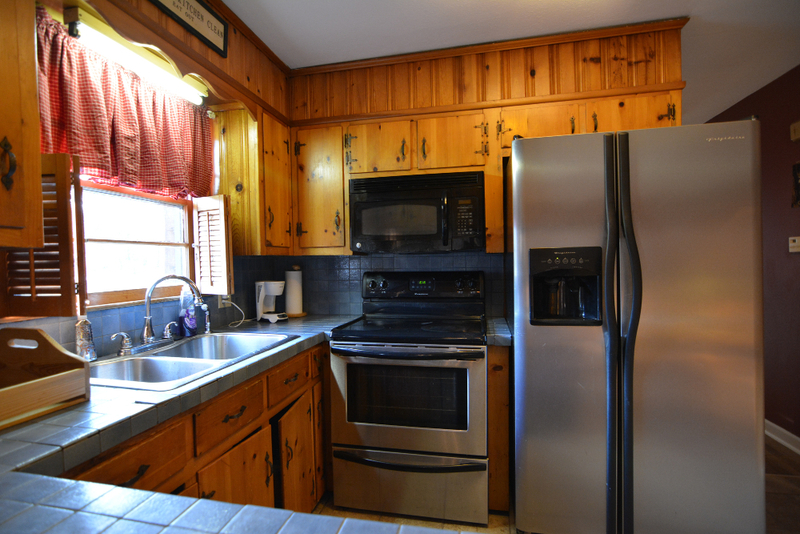 This cottage is approx 1000 sq ft. Also includes your full breakfast & wi-fi.